Is The Time Right to Upgrade Your Single Glazing? That is the greatest question that faces many home owners who are using single glazing on their premises. This has resulted from the ever increasing cost of heating our homes that has necessitated the need to improve the energy performance of our conservatories and windows. Double glazing is obviously better than single glazing although it is not considered enough. 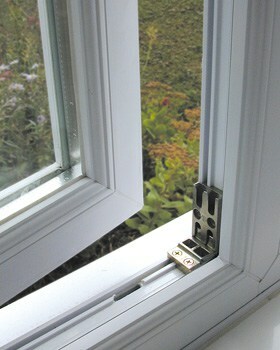 This is the chief reason why experts recommend on triple glazing. Once you have your single glazing upgraded to energy efficient Double or Triple Glazing by us at the The Advanced Group, you will feel and see a completely different world in security and efficiency. Here are some of the benefits you will enjoy once you upgrade your single grazing. Triple glazing utilizes uPVC as compared to single pane glazing that utilizes metal or wood frames. UPVC lasts much longer than wood or metal frames. The maintenance costs of a triple glazing are far much lower than those of a single pane glazing system. Triple glazing also offers a very significant reduction in terms of noise pollution. This makes it ideal for people living in noisy neighbourhoods. Some Double and single glazing are blamed for creating cold patches in the house due to the high u value of windows associated with these systems. This problem is solved by a triple glazing system which effectively reduces the difference in this value between the windows, conservatories and the rest of the premise. Single glazing has a u value of 5; double grazing has a u value of 3 while triple glazing has a value of 1.6. The higher the u value the higher the number of cold patches in the house. Upgrading your single glazing also gives your windows and conservatories an attractive appearance. This makes your home stand out from all others and increases its value. Upgrading your single glazing also offers you with a superior energy efficiency. This is because double and triple glazing uses advanced windows that are assembled, designed and installed expertly to reduce energy usage. This improves the thermal performance of your house and therefore lowers your energy bills. Double and triple glazing systems are also more secure than single glazed windows. Why Have Your Single Glazing Upgraded By The Advanced Group..? All our services and products are accompanied by a ten year guarantee. This includes a price guarantee, service guarantee and a product guarantee. With us you are guaranteed of the best services at no additional charges. We have been in this industry for over 26 years and hence have accumulated adequate experience. It is also through these years that we have established ourselves as the best single glazing upgraders in the whole of Scotland. Call us now or complete our online form to book a free home survey visit today. The time is surely right for you to have your single glazing upgraded. Your home will never be the same again in terms of energy efficiency and security after your windows upgraded. Contact us The Advanced Group at today and we will get the job done for you.